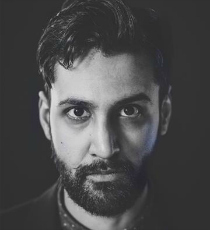 Arsher Ali is best known for playing Hassan in comedy film Four Lions, as well as television roles such as Malik Suri in The Missing, Samir Qureshi in the Channel 4’s Ackley Bridge, PC Hari Bains in BBC Two’s Line of Duty, and Ryan Mehta in Hang Ups. He also portrayed leads in Remainder and Bafta-winning film, Complicit. Arsher’s stage credits include numerous productions with the RSC, including prominent roles in A Midsummer Night’s Dream & The Merchant Of Venice.